Glad I’m not in the category of people who need something like this, but if you are, you might want to take a look at BMW’s X5 Security Plus, presented at last month’s Frankfurt International Motor Show. Seems this is the third generation of security cars based on the BMW X5, so evidently there is a market. 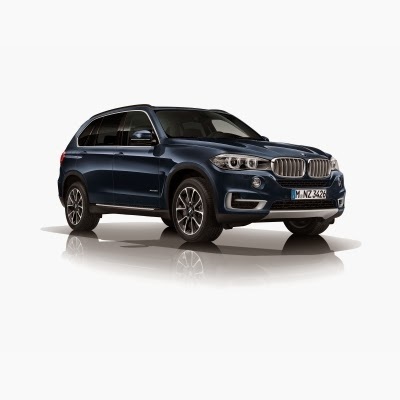 According to BMW Group’s press release, the X5 Security Plus offers “all-round protection against violent assault, kidnapping and organised crime.” That means it will protect you from an AK-47, thanks to high-performance steel, sealed joints, and security glass. All of this while still being quite driveable. It has all-wheel drive with a 450 hp V8 TwinPower Turbo to give it guts. If you don’t need something quite that powerful, but are worried about street crime, BMW also offers the X5 Security, built with that in mind. Because both of these cars are designed from the ground up by BMW, rather than having a third party retrofit them, the security systems and the extra weight of the armouring have been taken into account when dealing with other vehicle systems such as braking. BMW also has driver training programmes for the security vehicles. One security feature that may not be immediately obvious is the fact that the vehicles don’t look noticeably different from the non-security models on the outside. That does make a lot of sense. BMW says they’re just as comfortable as the regular models, too. I’d love a chance to test-drive both versions. You can find more information (together with info on BMW police cars) in their Authority Vehicles brochure. Back in September, ForeverCar.com, a company that offers consumers vehicle service extended warranty contracts, released the results of their analysis of 1,500 Facebook and Twitter comments that dealt with auto repairs. While it’s no surprise that people were discussing delaying repairs—after all, they’re usually expensive and not something we’ve budgeted for—the types of repairs they discussed delaying might surprise you. Or not, since I hinted at it in the headline. Yikes. I doubt things are much different on this side of the border. I can see living with bad shocks, but is the DVD player really more important than the brakes? What do you think? Old World Style or New? Aston Marton or Viper? Yes, Please! A couple of videos came across my desk today which I enjoyed so much I thought I’d pass them on. Two entirely different takes on style, but I love them both. First up is one from Aston Martin. They’re celebrating their 100th anniversary this year and among other things, several owners drove 100 Aston Martins from Lake Como to London’s Kensington Gardens back in July, stopping at the Nurburgring on their way. Some good shots of several classic Aston Martins in there, along with pictures of their owners partying. Well, I would, too, if I could afford to drive one. You can learn about their 100 year history on their webpage, where they have a centenary timeline posted (check out the photo for the September 17, 1964 date). You might also want to check out their CC 100 speedsterconcept car, which pays homage to the 1959 DBR1 racer. Pity it’s a one-off. Up next is what I’d call the North American auto industry’s most stylish car—the SRT Viper. Here’s a video from DriveSRT looking at their 2013 American Le Mans Series season. Vroom! Looking good for next year. 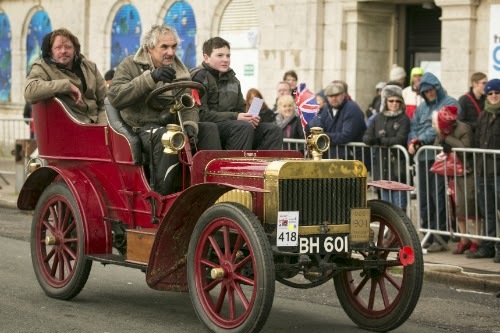 It’s not just the cars that are veterans in the London to Brighton Veteran Car Run. Some of the drivers have more than a few Runs under their belts as well. So he bought one. 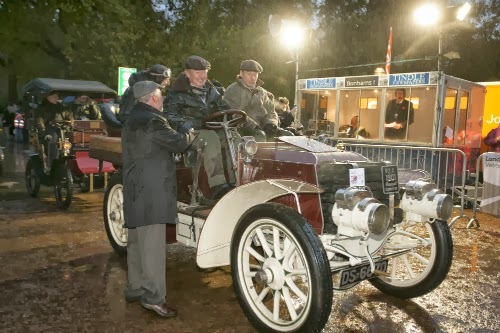 Then, in 2007, he bought a second vintage car, a 1903 Georges Richard, in case of bad weather. Seems the weather hasn’t been bad enough yet, he’s continued to drive the open Speedwell. No need to feel sorry for the Georges Richard, however. 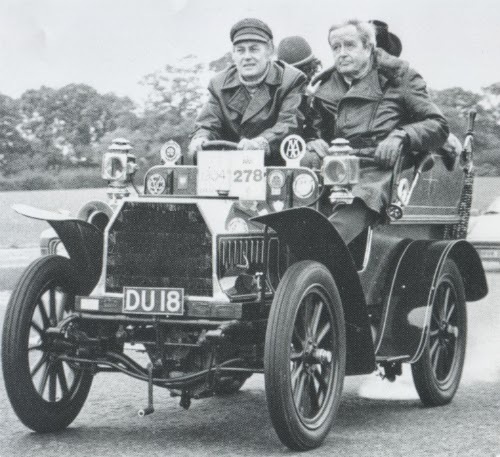 In 2008 Tindle lent it to HRH the Duke of Kent (that would be Prince Edward), who did complete the run in it. 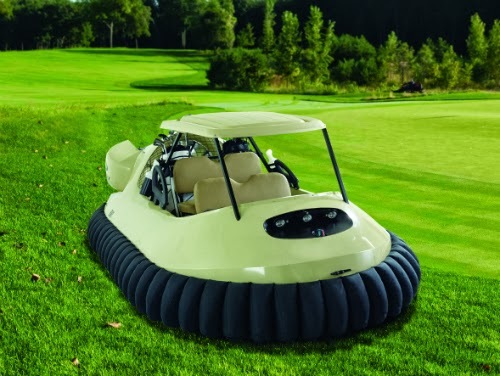 I don’t even play golf, but I still think Hammacher Schlemmer’s Golf Cart Hovercraft is seriously cool. Okay, for the purchase price of $58,000 you could buy a pretty decent car, but would it be able to take you over a sand trap and across a pond? It has a 65-hp engine and will do a top speed of 45 mph at 9” off the ground. It’s tough enough to carry four passengers and two golf bags, and meets US Coast Guard standards. It has a lift-up roof and even comes with its own trailer. And, yes, us Canadians can order it too, it’s even duty free. Zombie Survival Machine To Life. 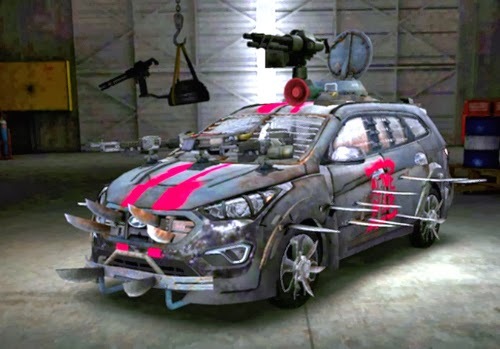 Those of you who are fans of the Walking Dead probably already knew this, but it seems Hyundai’s been running a contest where people could design a zombie survival vehicle based on Hyundai’s Elantra, Veloster Turbo, or Santa Fe. Many fans did, and Hyundai picked Anson Kuo’s design from over 82,500 fan submissions. It was put together by Galpin Auto Sports (GAS) and will make its debut at the New York Comic-Con this Thursday, October 10. An earlier Veloster Zombie Survival Machine designed by Walking Dead creator Robert Kirkman and also put together by GAS was shown off at the San Diego Comic-Con in July. Among other gadgets, the Santa Fe Zombie Survival Machine boasts aluminum armour, razor-wired windows, an automatic crossbow, three machine guns, a samurai sword, and knife blades. According to Kuo, having knives as a primary weapon ensures scarce ammunition is conserved. Want to build your own Survival Machine? You can find the Walking Dead Chop Shop app here. 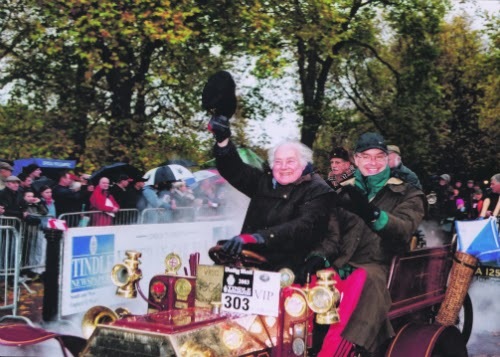 One of the car events I’d love to see is the London to Brighton Veteran Car Run. 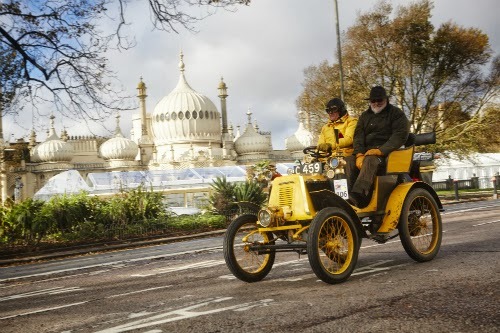 It’s been going for 117 years, longer than any other motoring event, covers the 60 miles from London to Brighton, and is restricted to veteran cars—cars built before 1905. This year’s version, scheduled for November 3, has added a new twist. 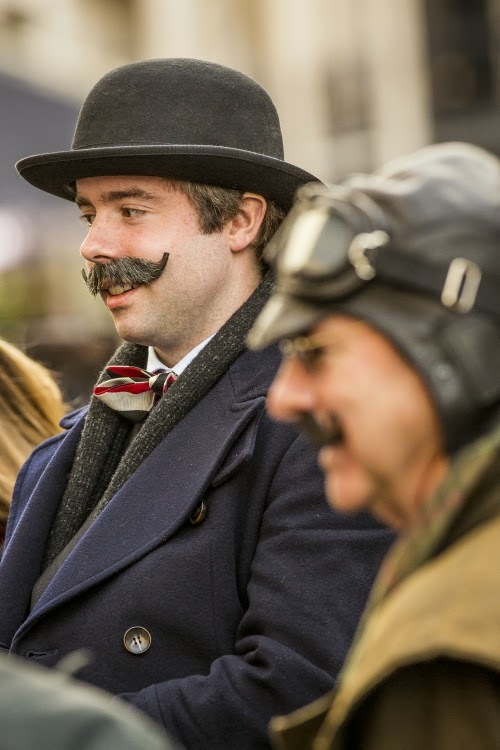 For those for whom getting to the finish line isn’t challenging enough (and not every car does finish), the Royal Automobile Club has added a regularity trial. What that means is that competitors are expected to keep a certain average speed, with penalties for arriving at secret check points and the finish too early or too late. Rather like a rally, but if you have visions of speeding cars skidding around corners, it won’t be like that. Competitors can choose to do the run in three, four, five or six hours, with three hours being approximately 20 mph and six being 10 mph. It’s better to be slow than fast, with one penalty point being added for each minute over and two for each minute under. There will be a winner in each of the four time classes. There could be as many as 500 cars participating in this year’s run, and half-a-million people turning out to watch. Some of them will no doubt also go to the Regent Street Motor Show the day before, which offers a Concours d’Elegance for veteran cars. One of the things I always loved about the TV show Vega$ was that Dan Tanna could drive his T-bird right into the house. I mean, who wouldn't want to look at it? 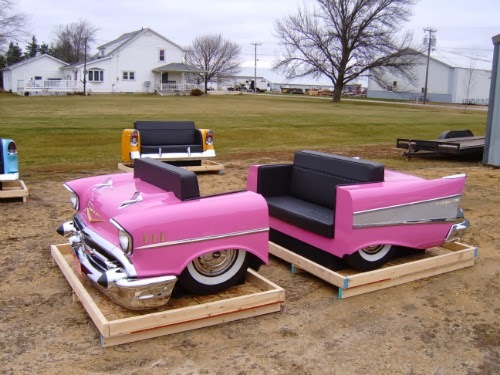 So when I came across this company on the internet that makes furniture out of classic cars, I had to write about it. Yes, actual cars, not replicas or reproductions. 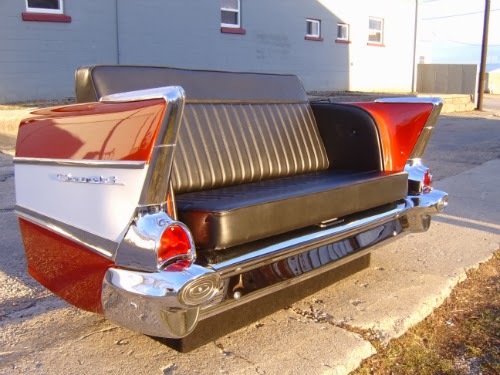 So if your garage is somewhere you hang out, rather than just somewhere you park your car, you might want to check out Classic Couches to get some furniture to sit on or work at. Each piece is custom-built with real parts, restored to showroom condition. According to their contact sheet, that includes contract grade interiors, new chrome plating, clear coat paint, restored steel and—possibly coolest of all—working lights. Sweet! They’ll source the cars for you, or they can work with a car you provide. While I’d hate to see something rare turned into a bar, I think it’s a great idea for anything relatively common. You can check out more of their work on their Facebook page. 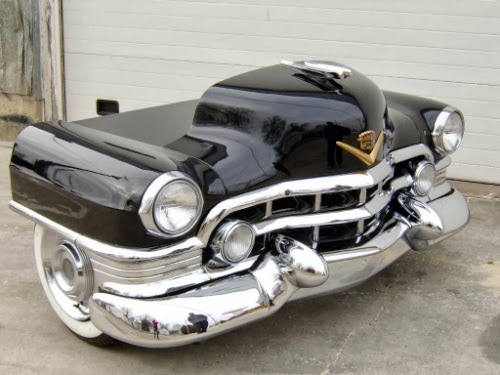 I’m rather partial to the Cadillac desk myself. 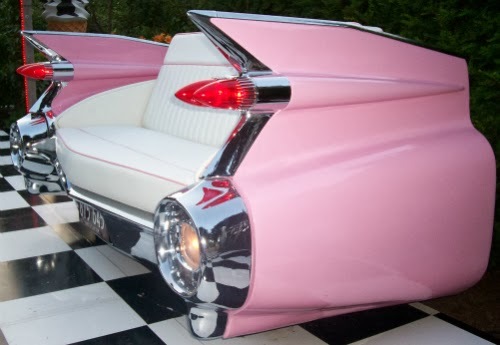 And if I had the space, I’d love one of the car diner booths. With a vintage Wurlitzer to go with it, of course.